Opening of ‘ARC’ at Kootenay Gallery of Art — Watershed Productions Inc. Excited to share a new video installation work called ‘ARC’ which fuses historical and modern photos using animation and sound design. This large scale (24x10ft) outdoor projection both posits and plays with how our local communities shift over time. ‘ARC’ is part of the group exhibit entitled “Building the World We Want” opening at the Kootenay Gallery on September 23rd at 7PM and running through November 5th. Curated by Maggie Shirley, the show features works by Amy Bohigian, Kari Burk, Julie Castonguay, Genevieve Gagnon, Patricia Gilhuly, Tanya Pixie Johnson, Ian Johnston, Tsuneko Kokubo, George Koochin and Judy Wapp. Much gratitude to Daryl Jolly, Kerry Pagdin and Havelock John Tucker who brought this piece to life with their insights and skills as artists. 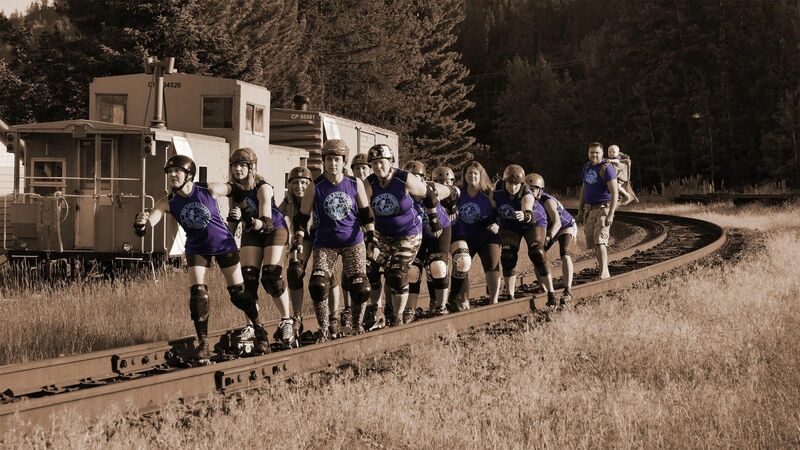 Thanks to the Dam City Rollers, David Leakey, Danny and the fam, Laura Fortier at Touchstones, Kyle and Rosemary at ALHS and Sinixt Elder Virgil Seymour. Also many thanks to Columbia Kootenay Cultural Alliance for the funding. Hope to see you on the 23rd for a great night. Posted on September 8, 2016	in Events, Filmmaking. Bookmark the permalink.